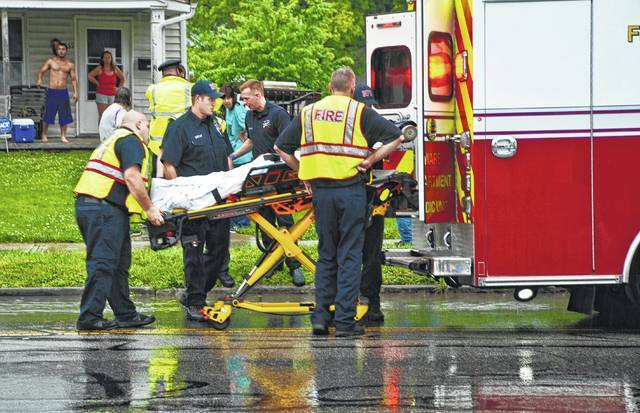 Delaware city police and fire departments responded to a call of a pedestrian being struck by a vehicle Friday afternoon at the corner of East Central Avenue and East Winter Street. The female victim was was transported to the hospital by paramedics. Neither the victim’s identity nor information regarding the extent of her injuries was released by law enforcement. The crash is still under investigation. The incident occurred 2 p.m. Friday. This entry was tagged delaware, Pedestrian, Vehicle. Bookmark the permalink.